Abstract: In 2012, the US Department of Energy, working with the National Renewable Energy Laboratory, predicted the growth of photovoltaic (PV) and Concentrated Solar Power (CSP) technologies for meeting 14% of the US electricity demand by 2030 and 27% by 2050, and thereby reducing green house gas (mainly CO2) emission by 760 million metric tons per year by 2050. Our current PV and CSP based renewable energy production is less than 5%. The prediction was based upon the 75% drop in cost of PV module production in China in 2011 that resulted in more that 40% annual growth of PV industries in the US. This talk will focus on the techno-economical challenges, including our efforts in sustainable growth of solar industries, involving primarily (1) enhancing efficiency of PV and CSP plants, (2) cost reduction of the auxiliary equipment and hardware involved in installations (3) grid integration, streamlining soft-costs in permits and inspections, (4) energy storage technologies (mainly Li-ion batteries) and (5) environmental impacts. The DOE goals are also aimed at reducing the levelized cost of electricity (LCOE) to $0.04/kWh, lower than the current LCOE. Availability of solar electricity at a lower price would accelerate market penetration of the solar technologies. One significant environmental impact of large-scale growth of solar industries and increase in operational cost is the consumption of water needed for cleaning PV modules and CSP mirrors installed in semi-arid and desert areas, where solar resources are high, water supply is scarce, and the modules and the mirrors are subjected to a high dust deposition rate and occasional dust storms. At Boston University, we have been working on developing transparent electrodynamic screen (EDS) films that can be used to laminate the front surface of the modules and the mirrors for water-free removal of dust. A brief description and a short video would show how the EDS film charges the deposited dust layer electrostatically and removes it in a sweeping action restoring power output better than 90%, as frequently as needed at a low cost. 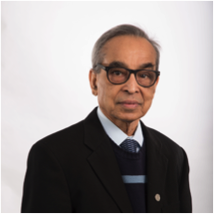 Malay K. Mazumder is working as a Research Professor at the Department of Electrical and Computer Engineering, Boston University. Since 2012, he has been serving as the principal investigator of a research projects, supported by DOE and MassCEC, on the development of transparent electrodynamic screen (EDS) films to serve as self-cleaning solar collectors without requiring any water or mechanical process. Before joining BU, he served MIT as a visiting professor and the University of Arkansas as a University Professor where his research included NASA projects on the space applications of EDS films for protecting solar panels, camera lenses, and other devices for supporting robotic and human missions to the moon and Mars. He is an IEEE Life-Fellow and serves as the Co-Editor-in-Chief of Particulate Science and Technology: An International Journal.